There’s one day each year when teacher Amy Kazdan comes to school and sees two to three Indian Trails charter motorcoaches lined up out front. The sight of our buses means that Kazdan and the other fourth grade teachers at Oak Ridge Elementary School—part of Michigan’s Royal Oak School District—have the transportation they need to take their students on a memorable field trip to Lansing. 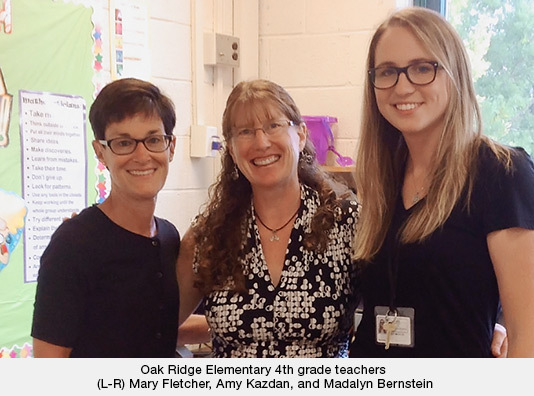 “Our students look forward to becoming fourth graders, in part because they know they’re going to take this special field trip,” says Kazdan, who’ll be retiring this year after 30 years as a teacher, 23 of which have been at Oak Ridge. The day-long trip includes visits to the state’s Capitol Building, the Michigan Historical Museum, and a tour of Michigan State University’s campus with a special stop for lunch at one of the university’s dorm cafeterias. 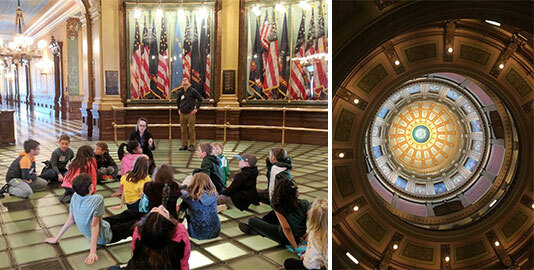 After the Capitol tour, depending on the weather, the students either walk the few blocks to the Michigan Historical Museum or ride there in our motorcoaches. Always of special interest to the students is the exhibit of original Civil War battle flags representing different regiments from Michigan. “The Capitol has replicas, but these are the actual flags and the students find them fascinating,” says Kazdan, adding that an Oak Ridge Elementary class adopts one of the flags every five years and raises funds to help its preservation. From there, the students head to lunch at the Brody Square Dining Hall on the MSU campus, which was renovated and completed in 2011 to include a variety of food stations. “The students absolutely love this experience,” says Kazdan. Before she came to Oak Ridge, teachers used travel agents to plan the field trip. Once on staff, Kazdan thought she’d like to organize it herself. It was a random—and fortuitous—call she made to Indian Trails that led to a satisfying, decades-long partnership with us, she says. For most of us, April 15 looms large as the deadline for filing our tax returns. 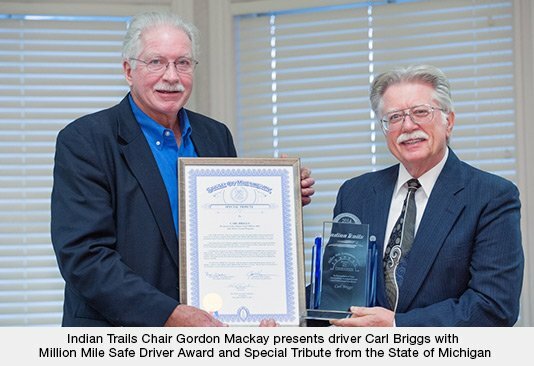 While that’s true for Carl Briggs, too, it’s also a special day for him this year, since it will mark his 30th anniversary as an Indian Trails driver. Before starting with us three decades ago, Carl—an Army veteran and Lansing, Mich., native—served in Vietnam, and then took a position in retail after returning stateside. Then one day he saw our help-wanted ad for motorcoach drivers. Boy, was he right! Carl is part of an elite group of 30 Indian Trails drivers who’ve earned our “Million Mile Safe Driver Award” for going the distance without an avoidable accident. It’s an award program we began in the late 1980s. Carl earned it in 2014. For perspective, one million miles equates to 40 trips around the Earth or two trips to the Moon and back. For motorcoach drivers, it means averaging 50,000 miles annually for 20 years. “It felt good to know that I drove that many miles without an accident,” he says. Not only does Carl serve as a driver, but he’s also an instructor in the intensive, five-week training program that each of our new drivers must complete before taking the wheel. First and foremost, he teaches two major responsibilities of the job: safe driving skills and how to provide great customer service. Two of Carl’s favorite aspects of the position—and what he tries to convey to students—are the trust that’s placed in him by Indian Trails, and the sense of independence that comes with being an Indian Trails driver. We’ve been waving good-bye to Carl at the start of almost 29 summers as he drives for Tauck Tour’s “Michigan’s Lakes & Mackinac Island” excursion. The eight-day trip offers a journey to northern Michigan with a stay at the Grand Traverse Resort and Mackinac Island’s Grand Hotel, stops at the Music House Museum, Sleeping Bear Dunes, and Frankenmuth, as well as visits to the Ford Rouge Factory and Greenfield Village, a wine-tasting event, and a Detroit city highlights tour. “Those tours are typically booked beginning in June and last into October,” says Carl, who took around a dozen different groups on the northern Michigan tour in 2018. During the winter months, he shuttles Michigan State University students to different locations on campus, and in the spring he pitches in where needed for other charter trips, regular line runs, and the Michigan Flyer shuttle to Detroit Metropolitan Airport. Over the years, Carl has gained some great experiences and opportunities as a charter driver that he otherwise would not have enjoyed. They include white water rafting with a charter group in West Virginia; being part of a caravan for Bill Clinton’s presidential campaign in 1992; visiting the National Corvette Museum in Bowling Green, Ky., just weeks before a sinkhole swallowed eight of its treasures; and taking a group of Australian truck drivers to the Indianapolis Motor Speedway Museum, as well as numerous concerts and games at Comerica Park. When Carl’s not driving, he likes to collect antique toys, such as cap and BB guns. When he is driving, he likes meeting people from all walks of life and the feeling of freedom he gets from hitting the open road. Just two years after the nonprofit Michigan Cares for Tourism (MC4T) was formed in 2011, it fully embarked on its mission to spruce up historical sites and natural attractions statewide. It began by calling for volunteers from across the tourism industry to join in a clean-up and restoration event at the Mill Lake Visitors Complex of Waterloo State Recreational Area in Chelsea, Mich.
“Built in 1936, this cabin community complex was in need of our care,” says Patty Janes, Ph.D., the professor of Hospitality and Tourism Management who spearheaded the effort. “The complex had served as the first travel and outdoor recreation experience of Detroit inner city youth until it was closed in 2000. We helped restore it in order to make an impact for urban youth, family reunions, conference retreats and much more.” Check out this short video about the event. Since then, MC4T—based at Grand Valley State University (GVSU), as is Janes—has held annual events at sites throughout the state, including the Upper Peninsula, to rejuvenate some of our state’s most precious tourism treasures. These initiatives have involved more than 2,625 volunteers, sponsors and partners who provided time, expertise, labor and supplies worth some $600,000. Professor Janes got the idea of forming Michigan Cares for Tourism from her involvement with Tourism Cares—the philanthropic arm of the national travel and tourism industry—on which MC4T is modeled. Indian Trails has been a partner of MC4T since its inception. In fact, when Janes began organizing the group, she first turned to Indian Trails Chairman Gordon Mackay for his buy-in. What Mackay offered—and Janes happily accepted—has been the use of our drivers and motorcoaches to ferry volunteers from throughout the state to the sites where MC4T is conducting clean-up and restoration events. Each year, our charter consultants work with the organization to choose four to five locations in Michigan where our coaches pick up volunteers. Janes, who was with Central Michigan University at the time, also quickly enlisted the support of Michigan’s Department of Natural Resources (DNR), which provided a list of some 260 historical and natural attractions as potentially needing repairs or restoration. In less than a decade, MC4T has grown into statewide partnership with GVSU, the DNR, Tourism Cares and Travel Michigan. It’s all volunteer-based. In fact, volunteers each pay $50 to participate in a clean-up event. They come from various positions throughout the state’s tourism industry, as well as colleges and partner organizations. 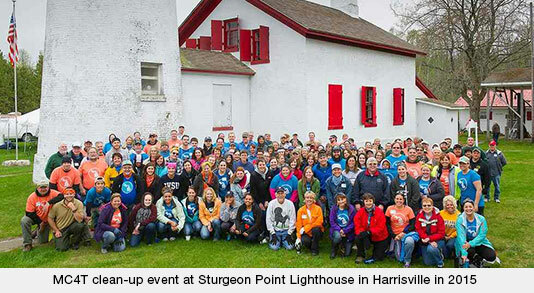 These two-day clean-up events—made possible with the help of sponsors who provide needed resources—have been held at the Civilian Conservation Corps Museum in Roscommon, the Sturgeon Point Lighthouse in Harrisville, Belle Isle Park in Detroit, the Felt Estate in Saugatuck, and Fayette Historic State Park in Manistique. 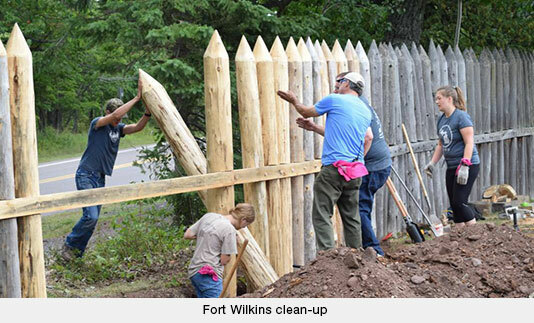 In 2018, for example, 62 donor organizations and 160 volunteers completed 23 clean-up and restoration projects at Copper Harbor’s Fort Wilkins Historic State Park. Projects included painting historic structures, replacing Fort posts, enhancing the view by landscaping and brush removal, and adding a roof and ADA ramp for accessibility. “We do ‘familiarization tours’ at the start of an event so our volunteers have a better understanding of what’s unique and important to this particular region of the state so they become more invested in the project ahead of them,” says Janes. In Chelsea, for instance, volunteers toured the Jiffy Mix factory before tackling the restoration of the outdoor center and cabins of Historic Mill Lake. The annual events are held either before Memorial Day or after Labor Day so they don’t coincide with the height of the tourism season, Janes adds. You can explore past events virtually here. More recently, MC4T has added half-day, smaller clean-up events around Michigan, as well as “Adopt-a-Bed” projects to beautify parks with flower beds. If you make travel arrangements for one or more groups (a business, school, sports team, trade association, social club, etc. ), kindly take a few minutes to tell us about your latest charter trip with Indian Trails. The information you share in THIS QUICK ONLINE SURVEY will help us to better serve your organization and other charter groups for years to come. The days are getting longer and the nights are getting shorter. Soon—on March 20—when the Sun is directly above the Earth’s equator, day and night will both be 12 hours long. Astronomers call this the vernal equinox. 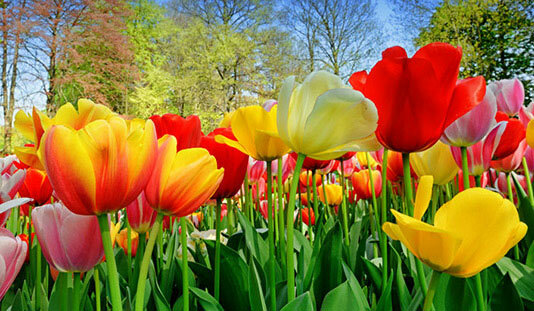 But most of us know it simply as the first day of spring. All of us at Indian Trails wish you the very best of this season of rebirth, rejuvenation, and renewal, as the weather warms and flowers bloom. And just a quick reminder: Daylight Savings Time begins at 2 a.m. on March 10 in every state except Arizona and Hawaii. That’s when clocks are reset one hour ahead (“spring forward”) so there’s more daylight to enjoy in the evening, but less in the morning. Did you enjoy this issue of Indian Trails Express? If so, please feel free to forward it to anyone else who might appreciate the content. Was this email forwarded to you? Click here to subscribe and receive charter news each month.